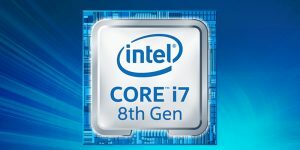 What's New: Intel today announced additions to the 8th Gen Intel® Core™ processor family: The U-series (formerly code-named Whiskey Lake) and Y-series (formerly code-named Amber Lake) are optimized for connectivity in thin, light laptops and 2 in 1s for the first time, while also providing ultimate mobile performance and long battery life. "The new 8th Gen Intel Core processors extend once again our leadership in delivering exceptional performance. Now with Gigabit Wi-Fi, we've enabled faster PC connectivity, added more intuitive voice experiences and enabled longer battery life needed for the next wave of mobile computing." 8th Gen Intel Core Y-series processors also deliver fast connectivity options, including fast Wi-Fi and LTE capabilities with unprecedented performance, to the some of the thinnest and lightest laptops and 2 in 1s in the market with double-digit gains in performance compared with the previous generation6, enabling fresh innovations in sleek and compact form factor designs with extended battery life. Both the U-series and Y-series processors have new and improved platform capabilities for more intelligent interactions with PCs, such as support for multiple voice services on the U-series and refinements to improve natural input options like touch and stylus for the Y-series. For the first time on this class of processors, Intel is delivering blazing fast connectivity with integrated Gigabit Wi-Fi with Intel® Wireless-AC for faster sharing, streaming and downloading1. Paired with Intel LTE modem options, consumers will have fast connectivity wherever they are7. Working with the PC ecosystem, Intel is delivering incredible performance in power-efficient platforms. With the new U-series processors, laptops and 2 in 1s get the extra leap in performance while also lasting up to 16 hours on a single charge, with power-optimized systems targeted to achieve about 19 hours5. Consumers can simplify their lives and get more done with Amazon Alexa* and Microsoft Cortana* to help control lighting and temperature in their homes, play music, create lists and shop with the sound of their voice, whether they are at home or on-the-go. Download in a snap and watch premium 4K UHD content from providers, including Amazon Prime Video*, Netflix*, iQiyi*, Sony Pictures ULTRA* and Vudu*. Devices with the new U-series processor can also support Dolby Vision™ HDR* and Dolby Atmos®* immersive audio. Together, the fusion of Dolby Vision and Dolby Atmos transform PCs into entertainment powerhouses. Play popular games on the go, including "World of Warcraft: Battle for Azeroth" and "World of Tanks." Visit gameplay.intel.com for a full list of games and optimized settings for Intel-powered PCs. Stream, share or download with Intel Wireless-AC supporting Gigabit wireless speeds, and experience seamless and reliable connectivity with Modern Standby and eSIM support with Intel's Gigabit LTE modems. Improved touch and stylus interaction to power creativity and sketch, shade and paint with precision. Ultra-sleek, thin-and-light designs less than 7 millimeters thick and lighter than 1 pound for use at home, in the office and on-the-go. How You Get It: Laptops and 2 in 1s powered by the new 8th Gen Intel Core U-series and Y-series processors will be available from PC manufacturers beginning this fall. For information, visit the 8th Gen Intel Core mobile processor product overview. 1As measured by over the air TCP throughput on an Intel Reference Platform with Intel® Core™ i7-8565U Processor and Intel® Wireless-AC 9560 module (with 2x2 160MHz channels) vs. an OEM Intel® Core™ i5-4200U system with 1x1 BGN (150Mbps), placed within range of 3 meters from the access point with enabling Gigabit Wi-Fi technologies. 5As projected by 1080P Local Video Playback on Intel® Core™ i7 8565U (52WHr Battery, 1W Sharp 1080p Panel); workload is 200nits screen brightness and audio in headphones. Some OEM systems are expected to exceed 16 hours. 6As Measured by SYSmark* 2014 SE Overall on Intel® Core™ i7-8500Y vs. Intel® Core™ i7 7Y75. 7The network requires a wireless router/access point.Software and workloads used in performance tests may have been optimized for performance only on Intel microprocessors. Performance tests, such as SYSmark and MobileMark, are measured using specific computer systems, components, software, operations and functions. Any change to any of those factors may cause the results to vary. You should consult other information and performance tests to assist you in fully evaluating your contemplated purchases, including the performance of that product when combined with other products. For more complete information about performance and benchmark results, visit http://www.intel.com/benchmarks. Performance results are based on testing as of August 10, 2018 and may not reflect all publicly available security updates. See configuration disclosure for details. No product can be absolutely secure. Intel technologies' features and benefits depend on system configuration and may require enabled hardware, software or service activation. Performance varies depending on system configuration. No computer system can be absolutely secure. Check with your system manufacturer or retailer or learn more at intel.com. Altering clock frequency or voltage may damage or reduce the useful life of the processor and other system components, and may reduce system stability and performance. Product warranties may not apply if the processor is operated beyond its specifications. Check with the manufacturers of system and components for additional details.Intel is a sponsor and member of the BenchmarkXPRT Development Community, and was the major developer of the XPRT family of benchmarks. Principled Technologies is the publisher of the XPRT family of benchmarks. You should consult other information and performance tests to assist you in fully evaluating your contemplated purchases.